Problem still persists, disregard everything I wrote down there. Still the same problem. When triggering slave flashes with the popup flash and using M mode on the master to control the flash output the slaves are not triggered reliably. I am very angry at the moment and will file another support issue immediately. When will this story end ??? I keep getting emails and comments, that the problem still persists with some D800s (‘s’ being the plural and not some mysterious new model… just being cautious). So far I have not had problems with the CLS system, but some other folks have. At this point I can not say more than we have to be patient and see if Nikon addresses the problem directly. Which they will do if enough people file support cases, so do that if you are affected ! Recently Nikon released a new firmware update for the D800 and the D800E (A: 1.01 / B:1.02). Officially the CLS issue has not been addressed but some other things (support for the new 800 mm f5.6E lens, subject tracking performance in AF-C etc., read the release notes here). Today I tested the flashes. I made two setups and took 50 images each. 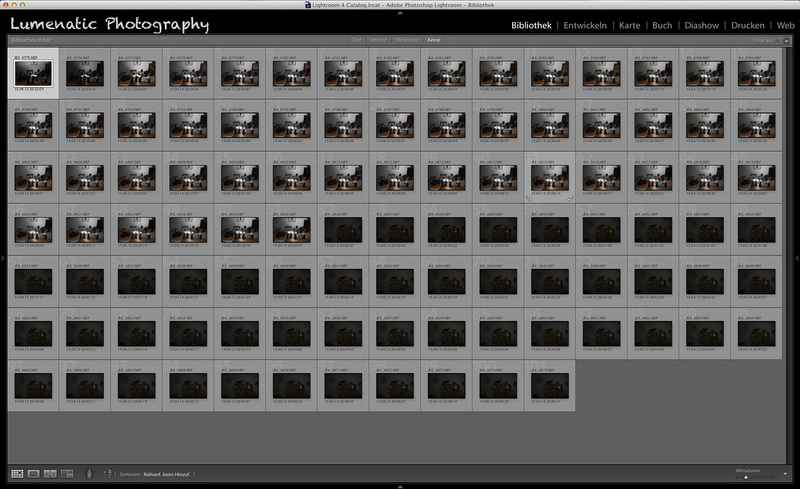 The D800’s internal flash acted as the master (Manual mode, 1/128), my SB-600, SB-700 and SB-800 as slaves. In the first series I pointed the camera towards the flashes with the flash sensors on the flashes facing the camera. The D800 fired directly into the light sensors of the flash units. 51 images – the flashes fired every time. Actually I had to wait for the master flash to cool down since repeated shooting in a short timespan builds up a lot of heat. The next set of images was taken with the camera facing away from the flashes and the flashes also faced away from the camera. The setting was still manual mode and 1/128 flash power. Also this time the flashes fired in every of the 50 images. It looks a little dark on the images, this is due to the low flash power I chose and the lack of ambient light (I conducted the test in the evening). If you look closely at the second set – there is a dark outline of the room in every picture, they are not black. Bottom line – It _seems_ as if the CLS issue has been resolved with this firmware update. After the first firmware update about half a year ago the problem got better, but still some images were black. I am not sure why Nikon did not mention the fix in the release notes of the new firmware but in the end the results are what counts. If the CLS issue still occurs at your D800 even after the firmware update, leave a comment or drop me a line ! This is good to know thanks for sharing your results! I was very excited to read that this helped with your D800 – unfortunately this didn’t help in my case. I just upgraded to the new firmware today (A1.01 and B1.02) and my built-in flash did not trigger the SB600 and SB800 units reliantly. Only about 50% of the shots triggered the slave flashes under the following conditions, even after the upgrade: CMD mode for built-in flash, built-in set to – -, and group A and B set to M mode. It seems that I can set off the flashes reliantly if I set the built-in flash to either M 1/128 or TTL -3.0. A work around that is not pretty, but will have to do for the moment. As I wrote in the update – it seems as if the problem has not vanished for all users. Some people still have the issue. It is a very tiring story… Contact customer support and bug them about the CLS function, file a support case ! Only this way we will have enough impact so that the engineers over in Japan will tend to it.